At world-famous hospitals with multimillion dollar IT budgets, critical, time-sensitive and lifesaving information is recorded and handled on handwritten sign-outs and to-do lists. Dozens of to-do items are recopied up to three times a day. When the hospital is busy, simply maintaining “the list” takes a significant amount of physician time. Transcription errors are common and can lead to patient harm. TouchRounds saves time, paper, and cost by replacing this antiquated process with modern technology. TouchRounds is a to-do list and messaging application for iPhone and the web that lets providers quickly and easily identify what matters wherever their work takes them - including the bedside. It features a user interface designed by doctors that pushes the most relevant data as it be comes available, and presents that information in the way clinicians expect. The app seamlessly synchronizes patient to-do lists via secure, regulatory compliant, Health Insurance Portability and Accountability Act (HIPAA) certified servers. It allows team-members to safely, securely and legally text patient information. And it is backwards compatible with existing paper-based workflows. 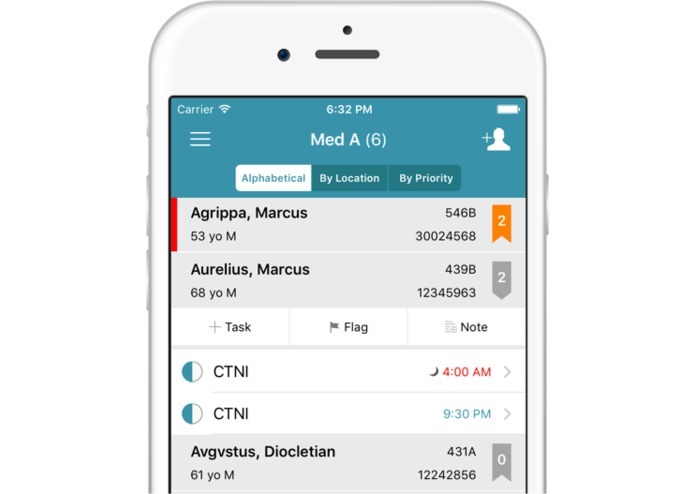 Users can still print patient summaries and to-do lists for their colleagues without the app. 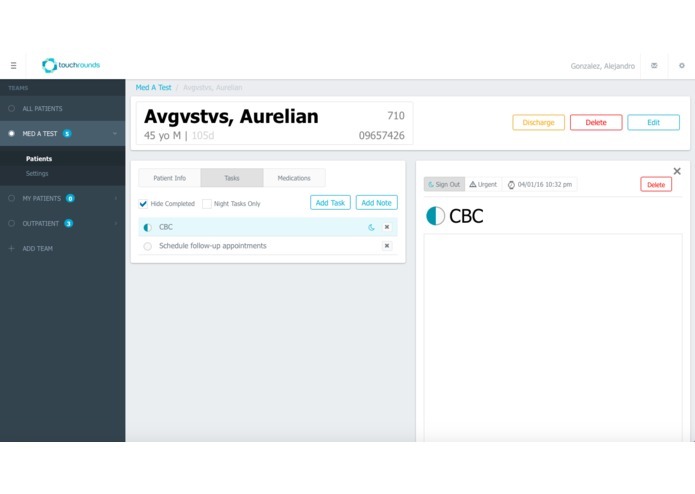 The TouchRounds backend is a proprietary Backend-as-a-Service platform called Bend. Bend provides user accounts, permissions, data storage, and web sockets for real-time communication (among other features). Bend is written in a systems language and compiles to a single Linux binary. Its dependencies are MongoDB, Redis, and NodeJS. It can be deployed very easily in a standard Linux environment. The TouchRounds production environment is currently hosted on the Catalyze Stratum platform (https://catalyze.io/stratum), a HITRUST CSF Certified HIPAA-compliant hosting platform. Clients can also host TouchRounds themselves on a dedicated Linux server or in a Docker-based environment. The iOS and Web apps do not store any local data and all communication between the apps and the server is SSL-encrypted. TouchRounds is available for download on the Apple App Store. The web version is accessible at touchrounds.com. TouchRounds offers subscriptions to individuals, small practices and large enterprise users. In the future, we would like to keep improving our application and do deep integration using FHIR with a large existing EMR. To try TouchRounds visit touchrounds.com and register by downloading the iOS App or using the web client. If you want to skip the registration step, login using the credentials below and see a prepopulated patient list.